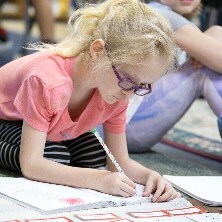 Using the Montessori methods, a carefully prepared environment, and the best teachers to help students develop positive attitudes, successful learners, responsible individuals, and effective citizens are created. Our Camp Montessori programs include a variety of eight different themes to keep your child busy learning and having fun all summer long. Pick one camp, or all eight to keep your little one busy this summer! Lake Montessori is the only Montessori school in Leesburg, Florida, using over 100 years of proven success to educate your children. If you are interested in any of our programs, please contact us today! The children of Lake County are blessed to have an advantage in their education that many don’t have, and that is access to a Montessori School. What is Montessori? It is a revolutionary method of observing and supporting the natural development of children in their education by helping them develop creativity, problem-solving skills, critical thinking, time-management skills, and care of the environment and each other. It also prepares them to contribute to society and to become fulfilled persons. 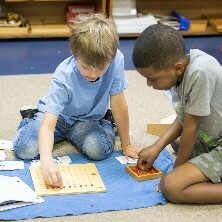 The basis of the Montessori practice in the classroom is a mixed age group (three to six years in one class), individual choice of research and work, and uninterrupted concentration. Group lessons are seldom found in a Montessori classroom, but learning abounds, and because it is enjoyed, children remember what they learn. The City of Leesburg is a great community in which to raise children and Lake Montessori is proud to be Leesburg’s only Montessori School, conveniently located on Lee Street near historic downtown. But our student body is not limited to Leesburg. All local area children are welcome at Lake Montessori. So whether you are in Fruitland Park, Lady Lake, Tavares, Eustis, Mount Dora, or any of our surrounding communities, Lake Montessori is a wonderful place to have your children grow and learn!